Pelican™ Products, the global leader in the design and manufacture of advanced portable lighting, offers the perfect array of safety certified lights for professionals. For their everyday projects, they can be confident that Pelican has the right products with the safety approvals needed for a large variety of risky situations. The company offers over 60 lights with European ATEX Certification (Zone 0 and Zone 1) and US Safety approvals. Pelican safety torches and RALS are designed for professionals working in Oil & Gas Refineries, Offshore Platforms, Fire Brigades, Mining, Petrochemical, Pharmaceuticals or other high-risk industries. A selection of these solutions will be showcased at ADIPEC Exhibition (Hall Concour / Stand CN134). 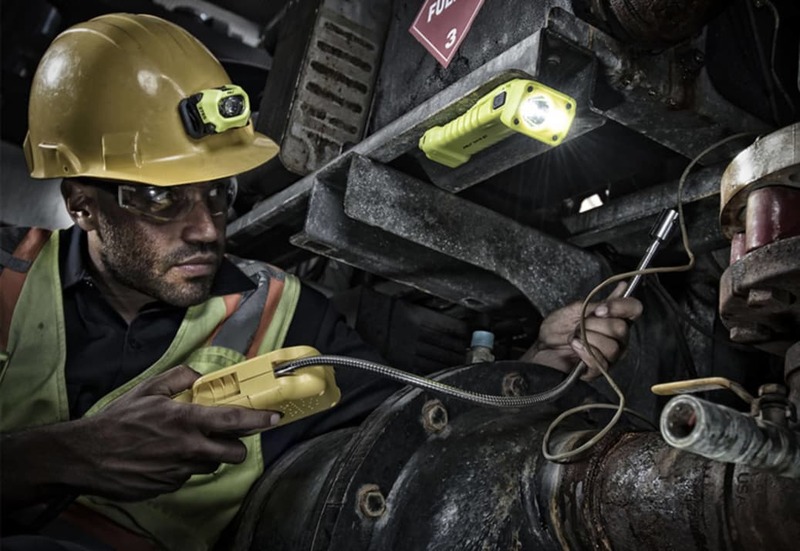 Pelican™ offers an extensive range of torches and headlamps with Safety approvals. They comply with the highest standards of the ATEX Directive 2014/34/EU and meets the IEC (International Electrotechnical Commission) requirements. From bright lamps to powerful next generation LEDs, these safety approved lights include models featuring up to 392 lumens and a run time of up to 98 hours. 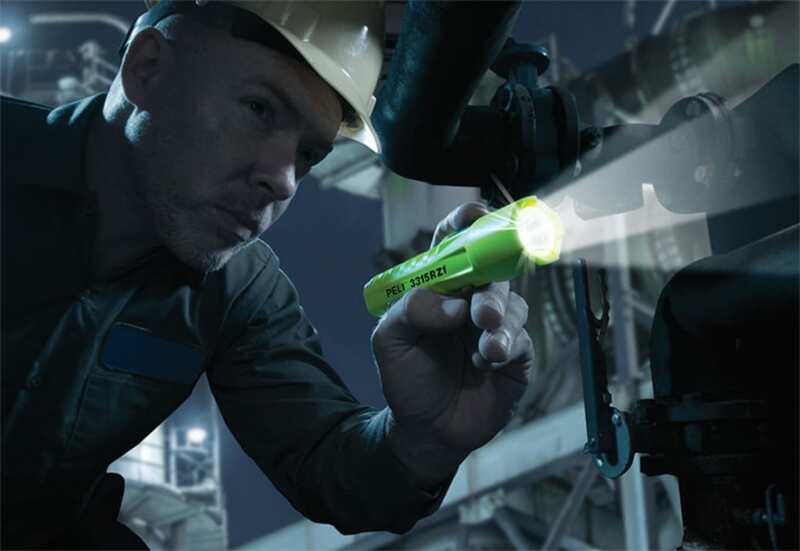 One of the latest additions to this range are the revolutionary 3315RZ0 and 3315RZ0-RA rechargeable LED torches with a life expectancy of over 2,000 cycles, 4 times more than the 500 cycles that batteries usually last. NEW 3345Z0 with Automatic Light Sensor: The first professional torch that automatically adjusts brightness. It has a mind of its own. The Automatic Light Sensor in the 3345Z0 examines the ambient light/proximity and instantly adjusts its lumens to the most effective level. Now you can you read pressure gauges close up or throw light hundreds of meters away - without hassling over manual power settings. The Automatic Light Sensor also makes the 3345Z0 one of our most energy efficient torches, preserving power and stretching battery life. Plus, the secondary flood beam illuminates potential trip hazards like loose cables, while the primary spot beam brightens long tunnels. The integrated clip can be mounted to a safety vest for hands-free lighting. With the ATEX Zone 0 (Cat. 1) safety certification and a full-time battery level indicator, you can work in hazardous areas with peace of mind. Pelican offers more safety approved industrial lights certified for Zone 0 & 1, Class I, II, III Div 1 and groups ABCDEFG than anyone else. They are ideal in industrial spaces that require a tested light that ensures that it will not be a point of ignition. All of the company safety advanced solutions make it the perfect choice for working in hazardous locations where flammable vapours, gases and chemical compounds may be present. Moreover, the manufacturer makes sure to comply 100% with all regulations and standards, even though this sometimes means higher investment in R&D or that it may lead to longer times until products can be released. Pelican torches are built with the highest quality materials, and to comply with the latest International Safety Directives, anti-static material is used when maximum allowed surface area is exceeded. When you're in a potentially hazardous environment, using an appropriately approved light is vital. Pelican products must pass a series of rigorous tests conducted by qualified safety laboratories in order to receive these safety approvals.